Oolongs exemplify the concept that some teas can be re-steeped multiple times and yield an incredible volume of drinkable tea. This practice works best when the leaf is steeped in a small vessel, but it also works reasonably well using a large teapot. Please refer to our steeping instructions for details. We get a lot of questions about the name of this exquisite tea. And, there seems to be a lot of mis-representation of this tea on the Internet. So, let me explain and try to untangle the confusion. First, this tea is not plucked by monkeys. This story is a Chinese folk legend, famously fanciful, emblematic and richly-embellished by those who add new twists and turns to the story with each re-telling. So where did this notion come from ? Perhaps it stems from the Chinese legend of the Monkey King, the main character in the book Journey to the West written by Wu Ch’eng-en, a scholar official in the Yuan dynasty (1279-1368). This book is a renowned classical Chinese story about an allegorical journey, that is complete with Chinese tales, legends, superstitions, popular beliefs, and Buddhist and Daoist ideals. Monkey King is a bit of a scamp, and his adventures are a thinly veiled political/social satire layered with meaning and innuendo. He is a simple creature who gained powers far greater than those of Superman – he attained the level of a Chinese Immortal – and he gets himself in and out of a peck of trouble. Or perhaps these ideas hearken back to the late 1700’s during the early days of the China Tea Trade with England. Spice and tea traders, explorers and visiting dignitaries returned home and reported that everything about this far away place was exotic, colorful and fantastic. The notion of ’fantastic’ is certainly true in early illustrations, prints and watercolors that present delightful images of small monkeys scampering up and down tea trees in idyllic locales, nimbly tossing fists-full of tea leaves to humans standing below among tea baskets lined up waiting to be filled. As engaging as these images are, anyone who has encountered monkeys in the wild know that it is far more likely that these mischievous animals will lob fruit at your head, and that bands of audacious, barking resident monkeys love to harass visitors in forested wildlife areas, demanding food for passage. Even being so bold as to try and reach into pants pockets for bright and shiny things. Such experiences debunk any notion that co-operative tea plucking ever occurred between monkeys and humans. I also think that there is a third, veiled meaning to the term ( don’t all Chinese legends have a veiled meaning? ) During the Song, Ming and Ching dynasties, tribute gifts (tax offerings to the emperor) included rare and costly teas that were cultivated, plucked and prepared exclusively for the enjoyment of the emperor. Perhaps the term began to be used to signify tea that was ‘out of reach’ of the average person. Tea for the emperor and his court would never be available to the average citizen – hence, out of reach in cost and out of reach in availability. Or perhaps the story was ( and I like this idea as well ) quite simply an easy joke played on the naive European traders by the worldly, tea-savvy Chinese back in the 18th century ! Could the Chinese ever have imagined that 300 years later, there would still be those among us who still believe this fantastic tale? This spring our 2018 Tieguanyin Monkey-Picked / Clear & Fragrant-style oolong was grown on the same rugged slopes as was our tea from 2016 and 2017, around the Anxi region, in southern Fujian Province (Min-Nan), the place for semiball-rolled style oolong. This tea is extremely floral and mouth-filling. Oxidized to a moderate 25-40%, this oolong is made from the true Tieguanyin tea bush cultivar and is grown in Gan De Village, one of the villages famous for authentic Tieguanyin tea. 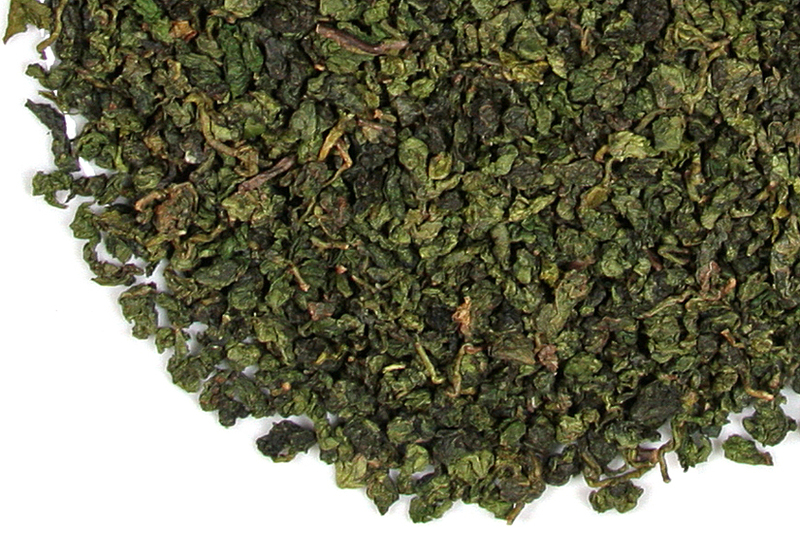 While many semiball-rolled style oolongs are made from different tea bush cultivars in the Anxi region (Ben Shan, Huang Jin Gui, Mao Xie and others) , authentic Tieguanyin such as this one has a characteristic and readily identifiable fragrance that sets it apart from other similar oolongs. True to form, spring-pluck Tieguanyin has high fragrance and substantial flavor in the cup. The aroma of this tea has a brisk mineral-y quality (the aroma of stones in a mountain stream). 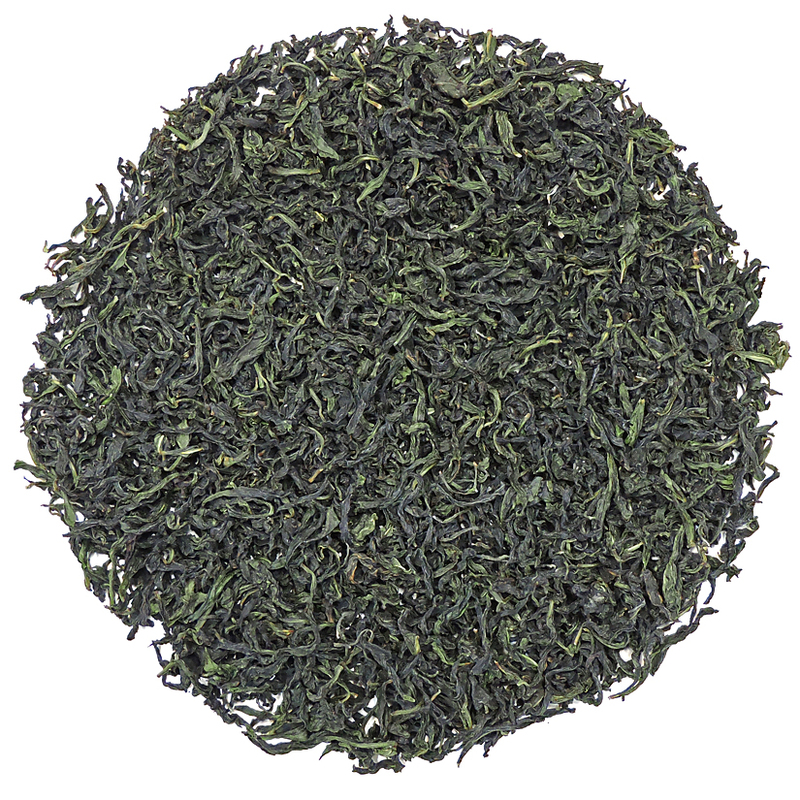 This is derived from the soil and is reminiscent of the crisp steel-y-ness of the minerals in the ground in which the tea plants thrive, and is a quality that harmonizes well with its bright floral taste, adding complexity and verve to the flavor. A subtle hint of celery also appears in the pungent vegetal notes. 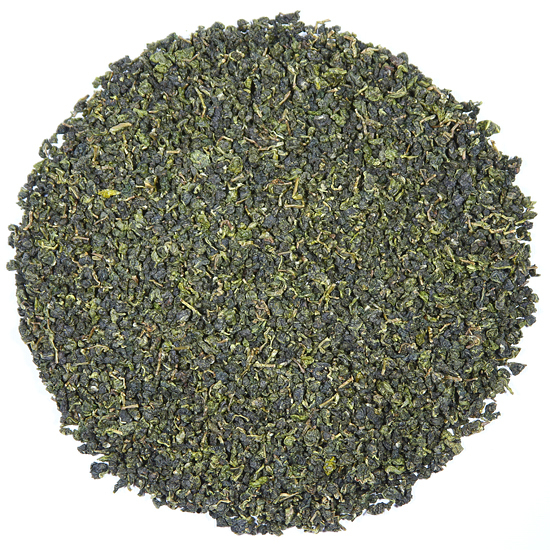 Expect a sweet, floral, lingering aftertaste that is the hallmark of a well-made Tieguanyin. 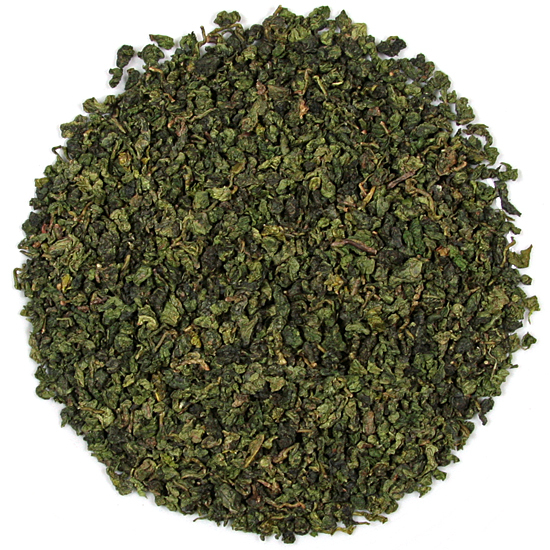 This is a very ‘green’ semiball-rolled oolong. It is a far cry from the highly-oxidized, traditional-style roasted oolongs that are a lovely dark-brown in color, such as our Traditional-Style. While the roasted semiball-rolled oolongs have always been more popular in China, Malaysia and Taiwan, this modern, greener-style is more popular with tea drinkers in the West, particularly Germany, Canada, and the US. Tea Trekker’s 2018 spring Tieguanyin Clear & Fragrant-style oolong can be enjoyed over the course of many short steepings. The infusions will vary, initially being clear and light, then becoming very rich and mouth-filling before finally returning to an aromatic, clear infusion. 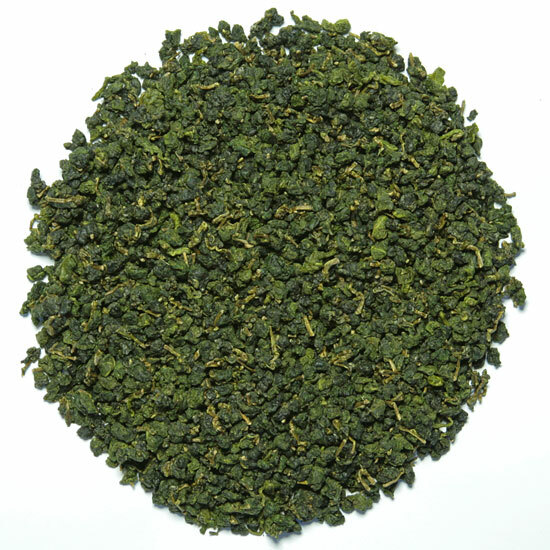 The expertly-crimped leaves will swell and open fully, exposing the whole leaf, showing off the lovely crimson-tinged edges of the authentic Tieguanyin leaf.